Two senior editors at Germany's Der Spiegel have been fired amid the country's largest newsroom scandal in decades. Ullrich Fichtner, and editor-in-chief, and Matthias Geyer, a chief editor, have been "suspended until the (magazine's) internal commission has completed its investigation into the affair," according to editor-in-chief Steffen Klusmann, according to AFP, citing a copy of an internal letter obtained on Friday. 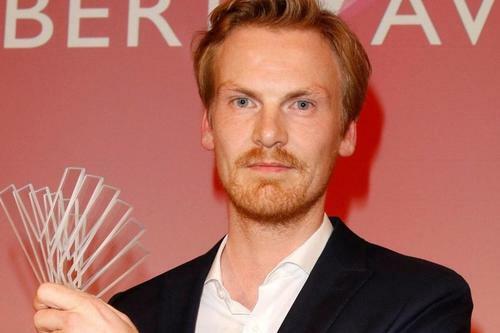 "Superstar" journalist Claas Relotius, a 33-year-old reporter for Der Spiegel and several other publications, falsified at least 14 articles according to Klusmann. Relotius abruptly resigned amid the December 19 announcement by Der Spiegel. "The Relotius affair raises the question as to whether" Ullrich and Fichtner "can continue in their jobs after such a disaster," said Klusmann. "The first discovered it for Der Spiegel, the second hired him and was until recently his superior." "We could now hold to account anyone who has dealt with Relotius, and that could continue up to the top of the hierarchy," Klusmann added. Relotius, meanwhile, has "gone underground," according to the Guardian, returning several awards for his work while being stripped of others, such as CNN's two Journalist of the Year awards. A German publication also stripped the journalist of a similar accolade. At least 14 articles by Relotius for Der Spiegel were falsified, according to Steffen Klusmann, its editor-in-chief. They include an award-winning piece about a Syrian boy called Mouwiya who believed his anti-government graffiti had triggered the civil war. Relotius alleged he had interviewed the boy via WhatsApp. The magazine – a prestigious weekly – is investigating if the interview took place and whether the boy exists. Relotius won his fourth German reporter prize this month with a story headlined “Child’s Play”. According to Relotius' Der Spiegel colleague Juan Moreno - who busted Relotius after conducting his own research after his bosses failed to listen to his doubts, released a video in which he attempted to describe how Relotius got away with his fabrications. "He was the superstar of German journalism if one’s honest, and if his stories had been true, that would have been fully justified to say so, but they were not," said Moreno. "At the start it was the small mistakes, things that seemed too hard to believe that made me suspicious." In addition to having several awards stripped from him, the 33-year-old Relotius now faces embezzlement charges for allegedly soliciting donations for Syrian orphans from readers "with any proceeds going to his personal account," according to the BBC. On Thursday, Relotius denied the accusations. 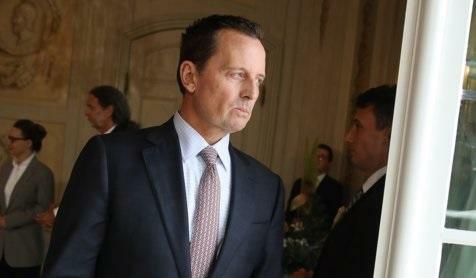 In a letter to Der Spiegel's editor in chief earlier in the month, Grenell requested an "independent and transparent investigation" to determine how the fraud went undetected for so long, adding that the revelations "are troubling to the US Embassy, particularly because several of these fake stories focused on US policies and certain segments of the American people." "We are concerned that the leadership of Der Spiegel encourages this form of reporting and that the reporters appear to deliver what the leadership wants," wrote Grenell, who accused the paper of anti-American bias, and said the German paper "routinely included information and stories which could have been proven untrue if they had checked the facts with the Embassy first." With two more Spiegel employees gone in the wake of this massive scandal, one has to wonder how deep the rot goes?